Liz Fraser was one of British cinema’s favourite leading ladies for three decades. Instantly recognisable as the star of five Carry On productions, she also appeared in the Confessions and Adventures films, as well as regularly appearing alongside such comedy legends as Tony Hancock and Peter Sellers. This is Liz’s remarkable story, in her own words. Liz includes shocking revelations about some of her best-known co-stars, reveals the heartbreak behind her two marriages and discusses her courageous battles with cancer. 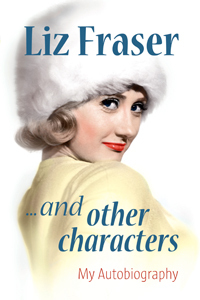 Liz Fraser entertained generations of filmgoers as the saucy but feisty blonde in numerous classic comedies such as I’m All Right Jack, Two Way Stretch and Carry On Cabby. In more recent years she has appeared in such diverse programmes as Last of the Summer Wine, Holby City and Foyle’s War.